The third Shaikh (religious leader) of Jahriyya was Ma Datian (1757 - 1817) who was also named Chuanchang Taiye. Due to the suppression of Jahriyya by the Qing government, Jahriyya had to be practiced in a secret way for many years. Around the 20th year of Qing Emperor Jiaqing’s Reign (1796-1820), Jahriyya adherents began to practice Jahriyya in large scales. The center of Jahriyya teaching is Daotang ( Hall of the Path or Doctrine, or simply Hall of Teaching). There was not any Daotang of Jahriyya left during Ma Datin’s time, therefore, Jahriyya adherents suggested a Daotang to be constructed. The local government soon got the news and Ma Datian was arrested on the first day when his Daotang was constructed for the crime of Gathering at Night. The Qing government then exiled the third Shaik of Jahriyya to today’s Qiqihar in Northeast China’s Heilongjiang province. Twelve Jahriyya families volunteered to follow Ma Datian for this harsh journey. So they committed crime on purpose and those 12 families led by Niu Taiye were also exiled to the same place. During the exile journey from Northwest China to Northeast China, Ma Datian stopped over in Beijing. Local Muslims had the chance to meet the third Shaikh of Jahriyya. The Shangpo Mosque located outside today’s Chaoyangmen was changed to a Jahriyya mosque which happed in the year of 1818. Unfortunately, the Jahriyya Shangpo Mosque was destroyed in 1970’s during the Culture Revolution. Ma Datian continued his exile journey after a short stay in Beijing and finally reached the city of Jilin (called Chuanchang during the Qing Dynasty) where he died there. A Gongbei was later built on his tomb in Jilin which is now named Jilin Gongbei Mosque. Niu Taiye and those 12 Jahriyya families finally reached their destination, Qiqihar where they were well accepted by local Qadeem Muslims. 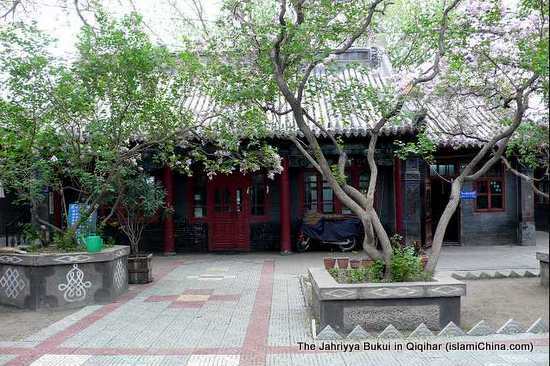 To the west of the old mosque, a new Jahriyya mosque was built which was named West Mosque or Bukui Mosque (卜奎清真寺), the second Jahriyya Mosque in Northwest China. 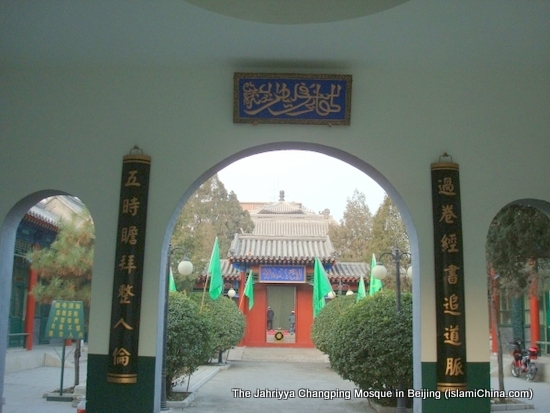 The Changping Mosque is now the only Jahriyya Mosque in Beijing. The Changping Mosque was also named Wujiesi (五街寺), rebuilt in 1617 and renovated in the Qing dynasty. 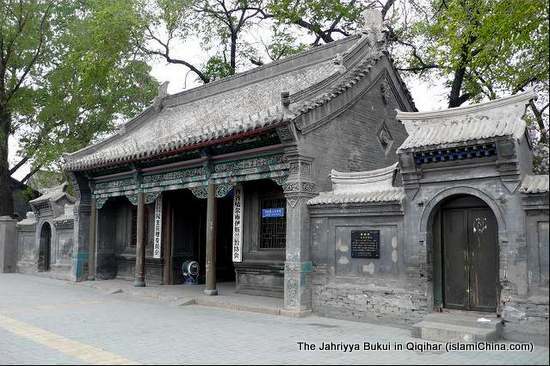 It is said that Changping mosque was built by the famous Ming Dynasty Hui Muslim general Chang Yuchun. The latest renovation of Changping mosque happened in 1996.